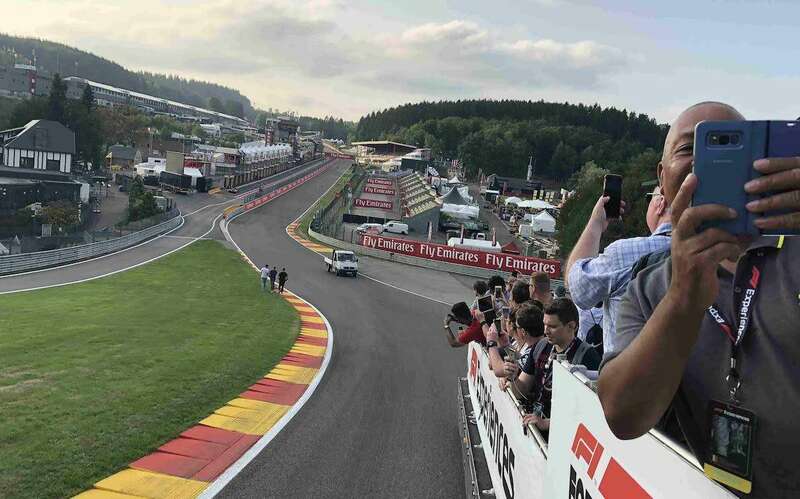 Start planning your trip to the Belgian Grand Prix at the majestic Spa Francorchamps circuit. The next race takes place on August 29 – September 1, 2019. Belgium is a small country in northwest Europe with a population of 11.4 million and two main regions; Flanders in the North is Flemish speaking (a language similar to Dutch), whilst the southern region of Wallonia is French speaking. The capital of Brussels (Bruxelles in French) is an important center of international politics, home to both the main institutions of the European Union and NATO. Belgium is part of the Schengen area, a group of 26 European countries (not including the UK and Ireland) with a common visa policy and no internal borders. If you are traveling from the USA, Canada, New Zealand, Australia, or the UK, you should be granted visa-free entry upon arrival for up to 90 days. Learn more about the Schengen requirements for Belgium. In common with its neighbors in Western Europe, Belgium uses the EURO. 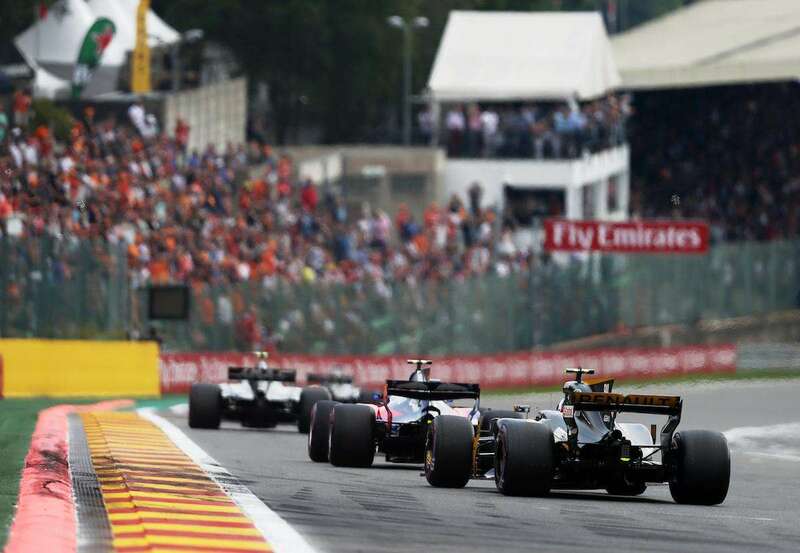 Spa is a fairly expensive F1 destination (see Budget Planner), especially when considering the cost of race tickets, accommodation and trackside spending. Tipping is not that common (bills for restaurants & taxis include a service charge) but feel free to reward good service with a tip of up to 10%. Belgium is generally a safe country, though it has been in the news in recent years for several terrorist attacks. As with anywhere, you need to be more aware of your belongings and surroundings on public transport and around places such as train stations. You shouldn’t have any particular issues at Spa Francorchamps, though we don’t recommend leaving valuables in your car or tent next to the circuit. It rains a lot in Belgium, especially in the hilly Ardennes region where the Spa Francorchamps circuit is located. The weather can change very quickly here, so you need to be prepared for storms with good quality wet weather gear and waterproof shoes. By the same token, the weather can also be very sunny and warm in the late European summer, with temperatures around 25-30ºC (77- 86ºF) not uncommon. Belgium is a first-world country with excellent healthcare. If you are a European citizen, get yourself an EHIC card so you access local health services if the need arises. You should also have travel insurance in place, in case of an emergency. Spa Francorchamps is located in the French speaking part of Belgium, though Dutch, German and English are also widely spoken, especially at the track. Belgium uses type E power plugs (230 V / 50 Hz) – carry a travel adapter if you are travelling from the UK, Australia or USA. In case of an emergency, the main number to dial in Belgium is 112. Operators should speak French, Dutch or English (sometimes German). Alternatively, you can dial 100 for medical emergencies and fire or 101 for the police. 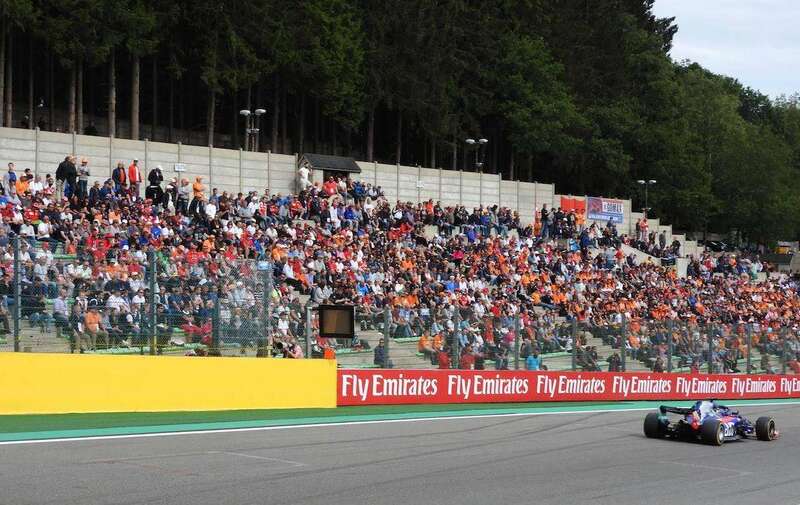 Have you been to the Belgian GP? Leave a comment with your travel tips! We are flying into Brussels airport (BE)? and will arrive Friday 25th at 19.50. 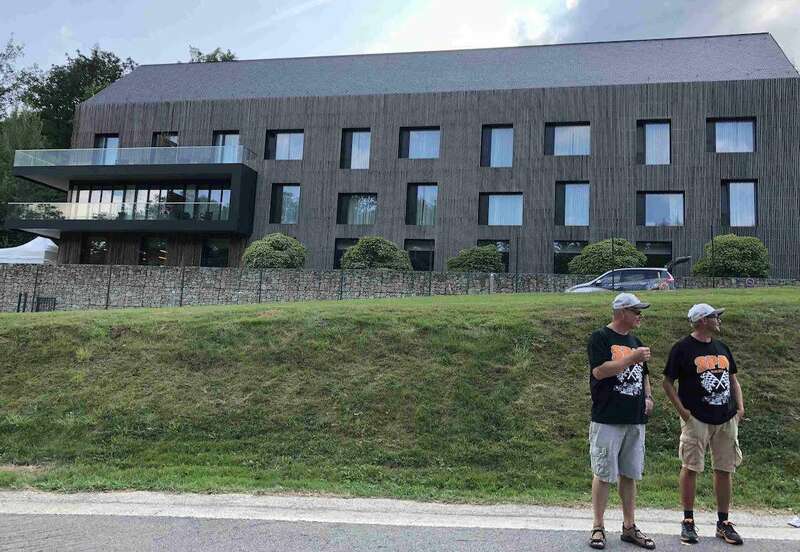 We then need to get to our accomodation which is in spa-Francorchamps circuit. It is a bit confusing to say the least, can you help please? Hi Penelope, depends on how many of you there are, but the best idea may be to organize a shuttle/car to take you direct from the airport to the circuit. It won’t be cheap as it’s about 140km, but could be economic if you have 3-4 sharing the cost. 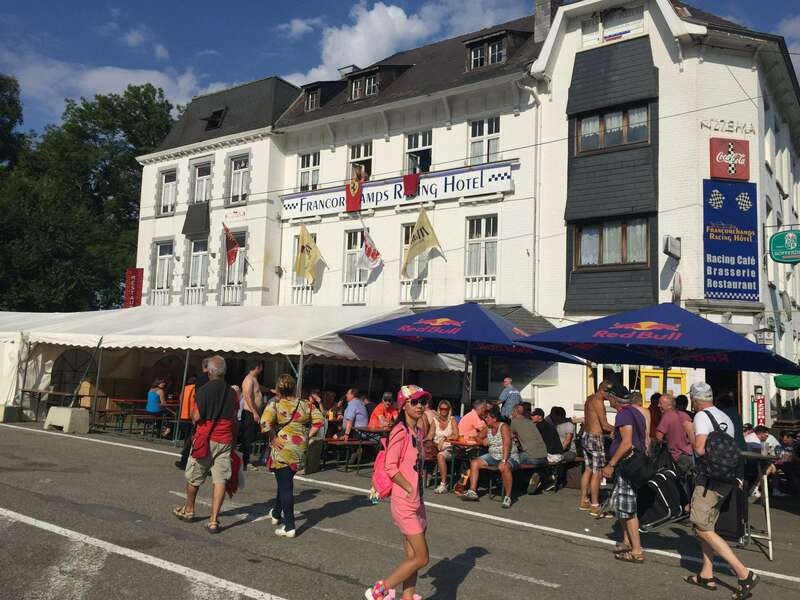 Otherwise, I would get a hotel in Brussels on Friday night, then take the train early on Saturday to Verviers – after that, there is a shuttle to the circuit. More info in Getting There & Around. Going to my first GP Belgium this year. Can you advise about the train or bus links to the circuit. 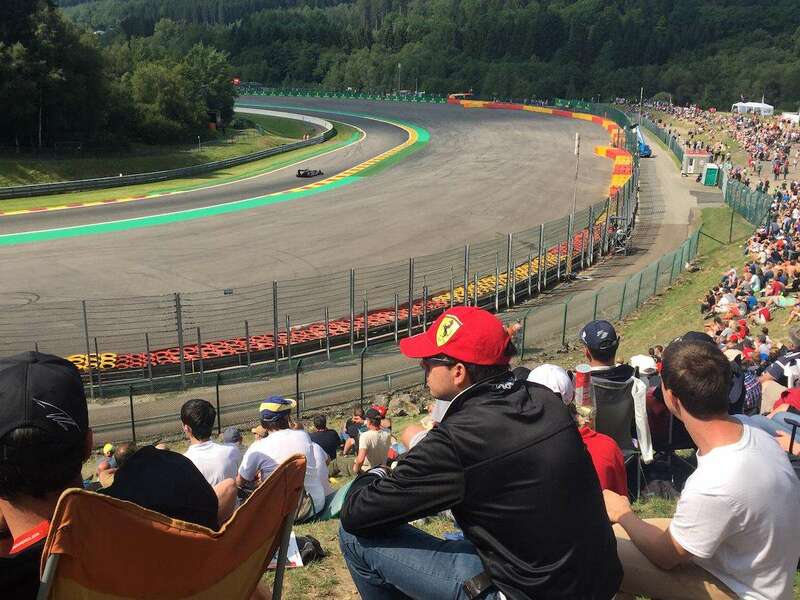 This is my first F1 and i will traveling from Brussels by a car, what is the best time to leave on Sat to arrive at least by 11am, I will be having a press pass that i have to pick from there and is there any press parking space. Hi Edmund, I would be leaving as early as possible, say 8am. There must be a Media car park, but I’m not sure where it is. Possbly next to La Source.